At this point, keeping up with Bachelor Nation enterprises may soon prove to be more difficult than keeping up with the Kardashians. 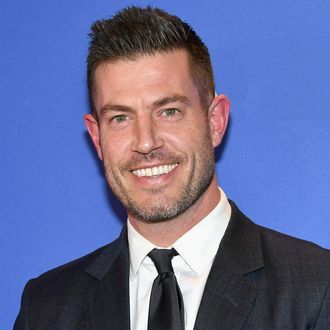 Following the decent reception of Bachelor Winter Games earlier this year, Bachelor creator Mike Fleiss has landed another reality dating series on ABC, although this one has no official affiliation with the overall Bachelor franchise. Titled The Proposal — deep breath for those still suffering from post-Peter shock — the Jesse Palmer–hosted series will follow ten eligible daters as they attempt to woo a mystery suitor or suitress “with their words in a first impressions round; bare their souls in a beachwear round; answer the mystery suitor’s most pressing romantic questions; and strive to receive a seal of approval from the mystery suitor’s most trusted family member in the final round.” (Yes, beachwear round, whatever the hell that means.) Oh, and did we mention the daters will never see the suitor’s face? Twist! Each round’s completion will result in some of the daters being sent home, until two are left with the suitor and finally presented with their identity — which could potentially lead to a marriage proposal. You know, if the suitor feels like it. It premieres this summer.